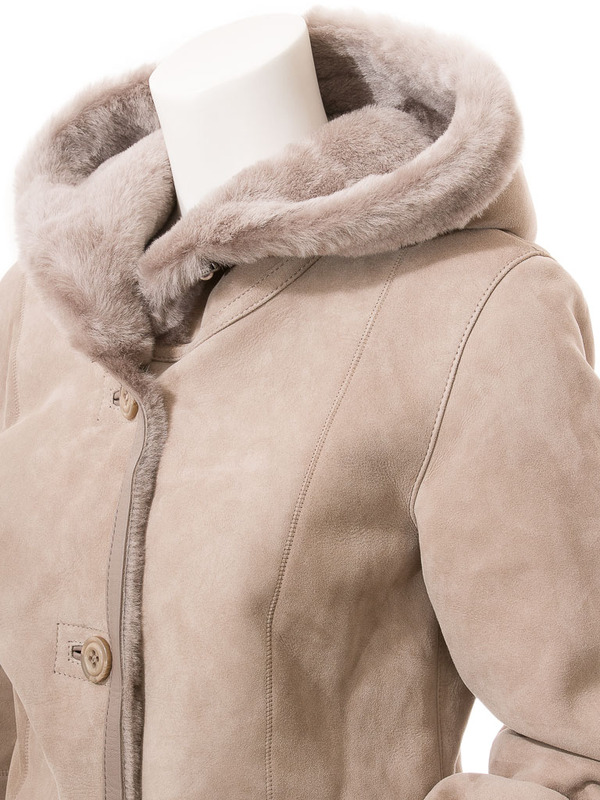 A lovely, cosy sheepskin shearling, hooded coat in taupe brown. 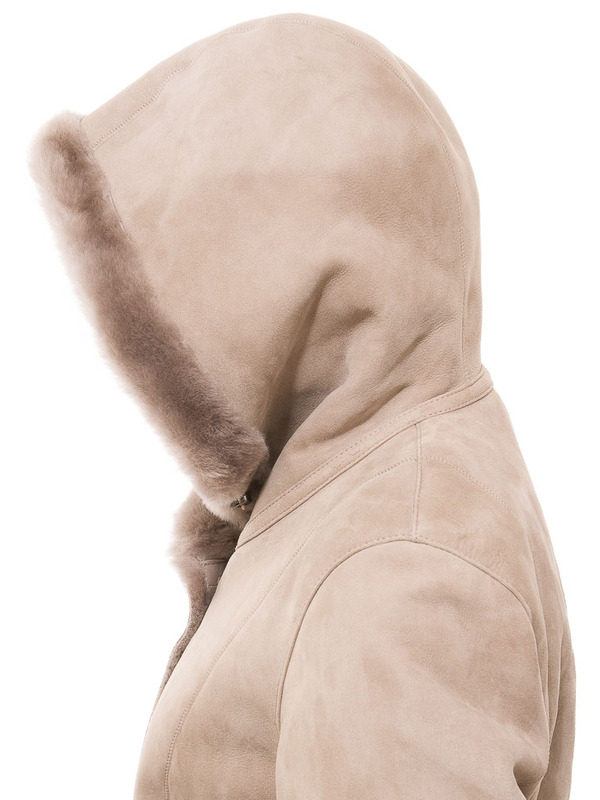 Incredibly warm and practical in the cold winter season this coat features a button front trimmed in tonally matching leather leading up to a generous fleece lined hood. 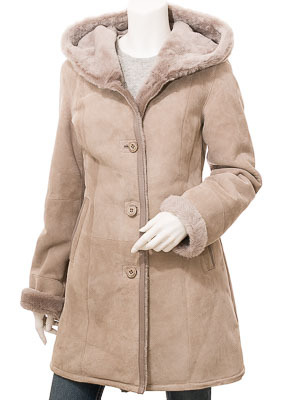 There are two inset pockets at the waist and a hidden, zipped pocket on the inside. 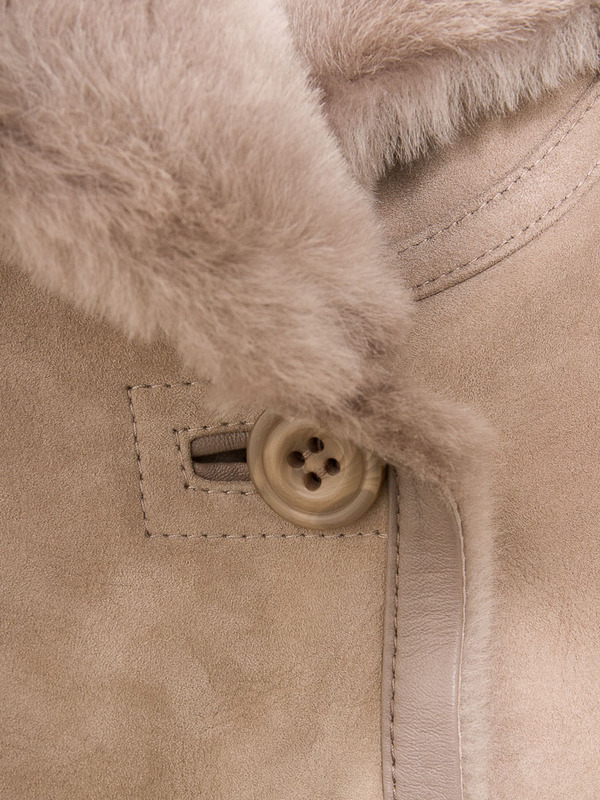 Like all genuine sheepskin coats the interior lining is entirely formed from the woollen fleece side of the skin. 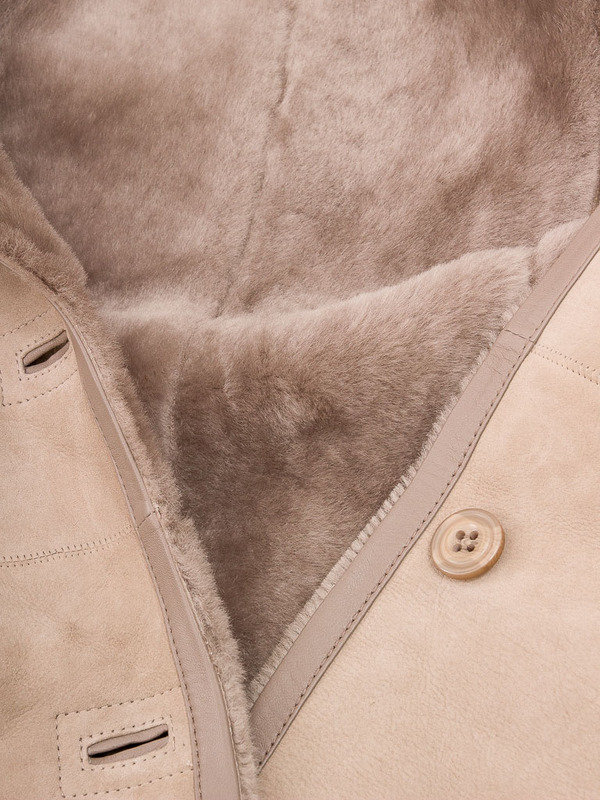 The durable, weatherproof exterior is therefore the underside of the skin.